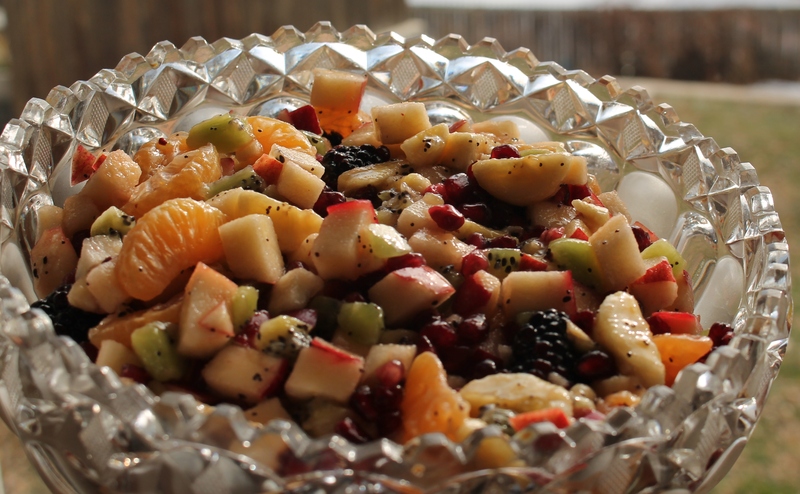 Fresh fruit salad in winter is a real treat and this recipe is delicious, combining several fruits including apples, kiwi, blackberries, pomegranate, bananas and Mandarin oranges. The dressing is fresh and tasty delivering a nice side to compliment any meal. Combine all salad ingredients. Toss with dressing and serve immediately.